Taxi fares in Dubai are among the world's most affordable, according to a new global index. Dubai ranked fifth in terms of airport-to-city taxi fares in the recently-published Carspring 2017 Taxi Price Index, which compares the cost of taxi rides in 80 of the world’s most popular cities. Designed as a price guide for travellers, the index rates destinations according to several parameters, including the average cost of a taxi service. When compiling the Taxi Price Index, Carspring researched the cost of hailing a taxi, the cost per kilometre, the cost of waiting time, and the typical fare for a taxi from the airport to the city centre. 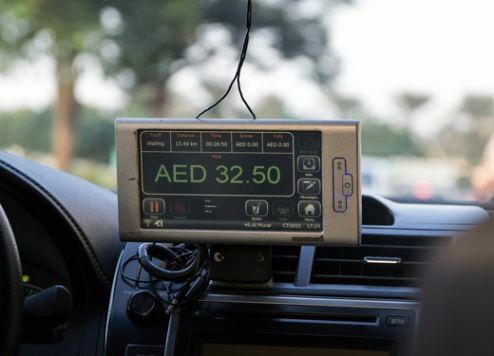 In Dubai, a taxi ride to the city centre from the airport costs US$8.31 on average. It was only beaten on price by fares in Cairo ($4.20), Mumbai ($4.44), Tunis (4.49) and Tallinn ($7.32). Tokyo taxi fares proved the world's most expensive, with a trip from the airport to the city centre costing $189, which is 22.7 times more expensive than in Dubai. Of the 80 cities listed in the index, Dubai ranked 45th in terms of the taxi “flagdown” rate or initial hire category at $2.95, compared to $2.93 for both Manchester and Toronto. The cheapest flagdown rate is Tunis at just $0.19. The index listed the Toyota Corolla as a typical cab model in Dubai, although the majority of Dubai taxis are Toyota Camrys and other mid-sized sedans. The Dubai Taxi Corporation (DTC) fleet also includes several Toyota Camry petrol-electric hybrids and has announced plans to introduce 200 fully-electric Teslas soon.